This weighty material is great for sustaining the high winds that sometimes visit the Coachella Valley. Wrought iron also requires minimal maintenance. Cleaning with mild soap and water, and seasonal touch-up of any scratches, chips or occasional rust seepage from crevices is all that is required. 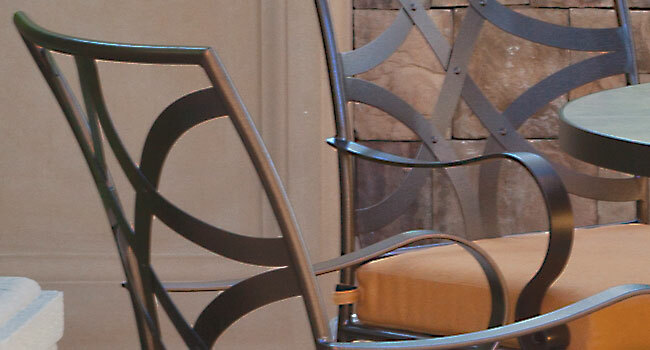 Most wrought iron is powder coated and electro-statically painted. A chip in the paint and a little water can bring about rust, so touch up paint is suggested.